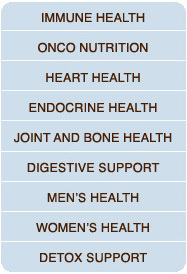 For your convenience, we have grouped our products according to different categories of health concerns. Supplement Facts include the list of ingredients, suggested use and warnings/contraindications. Indredient Info contains detailed and well-researched information on the ingredients. References lists the publications we used for the Ingredient Info text. As with any health supplements you wish to take, we recommend that you consult your physician. All Imupharm nutraceuticals, botanicals, glandulars and vitamins are manufactured in the United States of America. Some ingredients are sourced from other countries. Add it to your shopping cart by clicking the "Add To Cart" button beside the price. You will be transferred to a page where you can specify the quantity you wish to purchase and view your total. You can either continue shopping for other products or continue to check out. To check out, just click the green button for "Check-Out" on your shopping cart. You will be requested for your billing information, shipping address (if different from the billing), as well as other instructions. Click "Submit Order" to continue with the purchase. You can view your Shopping Cart at any time on the website by clicking "Shopping Cart" with the shopping cart icon on the upper right corner of the web page. You can make changes to your order by calling 1-888-742-7608 up to 2 hours after you submit your order. We will request for information you have provided on the order pages for security. Please note that once we have shipped your order, you cannot make any changes to it. We make every effort to ship your order on the same business day if it is placed before 4pm, but it may take as long as the next business day. If you placed your order on a weekend, Pacific Time, your order will be shipped the next business day after 4pm. Where is your shipping location? All products are handled and shipped from our office in California, USA. For your convenience, we provide US and International shipping options via USPS, UPS or FedEx. How do you charge for Shipping and Handling? Do I need to pay more than the total shown on Shopping Cart? Shipping charges shown are approximate. The final size and weight of the shipment may vary once we securely pack your order. Yes, we do. We ship all over the world. Shipping costs vary depending on the weight and size of the packaged product/s. When you place your order online, you will be able to see the shipping costs on the Shopping Cart page. Please note that International Shipping (outside of US and Canada) costs are approximate. Orders shipped to addresses within the United States will usually arrive within 10 business days from the time of purchase. International Shipping time varies, so we cannot guarantee a time frame, but we will email you the tracking number for your package once it is shipped. You will receive an initial email to confirm your order, and a second email to notify you that your order has been shipped, including the UPS tracking number. Yes, you can pick up your order. Be sure to use the coupon code "4PICKUP" on the checkout page so you won't be charge for shipping. You can return unopened items for up to 30 days from the date of purchase (i.e. the product shipping date is the date of purchase). A 10% restocking fee will be charged and the remaining amount will be refunded in the original form of payment. Opened items are not returnable or refundable. Items sold will not be accepted for return, exchange or refund after 30 days from the date of purchase (i.e. the date it was shipped from our facility). Shipping and handling costs are non-refundable. You are responsible for the cost of return shipping. Please carefully package the product and ensure that we receive it in our facility within the 30-day period. Imupharm Corporation reserves the right to reject returns that do not comply with these requirements. You can cancel your order within 24 hours of purchase, unless we have already notified you of its shipment. You will be refunded in the original form of payment. Our office hours are from Monday to Friday, 9am to 4pm, Pacific Standard Time. The information contained on this web site has not been evaluated by the FDA. 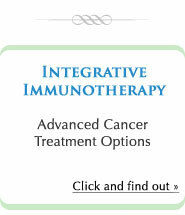 It is not intended to treat, diagnose, cure or prevent any disease. Material on the Imupharm web site is provided for educational purposes only. Always seek the advice of your physician or other qualified health care provider with any questions you have regarding a medical condition, and before undertaking any diet, exercise or other health program.